Antigua and Barbuda’s Minister of Tourism & Investment, The Honourable Charles ‘Max’ Fernandez has high praises for the creative team, adding that the new campaign is timely and reinforces the messages the islands have been promoting in recent years. “Antigua and Barbuda’s weather during the summer is so much cooler than in other regions, our beaches are serene, and while there are numerous events to enjoy, the pace remains unrushed. The #WhatCoolLooksLike summer campaign brings to life what we have been saying for years, and we thank the team for helping us convey this message in a vivid and imaginative way to potential visitors across the globe. 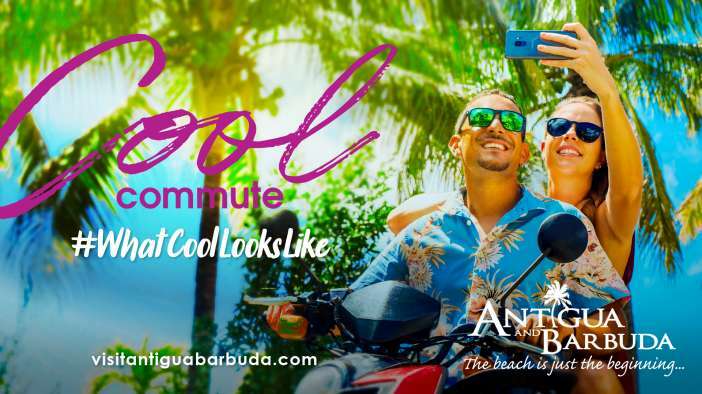 The campaign is being executed in all our major source markets with consumers being enticed to visit Antigua and Barbuda to take advantage of the cool summer savings on offer, as well as the destination’s cool climate,” notes Fernandez.